Employment: climbs the table, with clients praising Kerry Joan-Law’s ‘ professionalism, commercial and local knowledge’ and personal involvement in matters. Dispute Resolution and Commercial Litigation: Clients appreciate the ‘professional approach and unquestionable knowledge’ of Kerry Joan-Law who ‘personally ensures that her clients’ interests are protected’. And here are just a few more snippets from some of the testimonials gathered over the past years all originals can be inspected at our office. Your satisfaction is our business……. “Thank you for your help we trust you implicitly”. “Firstly I would like to thank you for all your efforts, including at the weekend, in taking every effort to put me back on track…..I have the confidence that matters are being handled in a highly competent manner”. “At a time of much stress and confusion Ms. Joan-Law gave us confidence that we were being looked after….Thank you”. “May I take this time to thank you for your invaluable time and advice”. “I would like to express my sincere thanks and appreciation once again for all your professional expert advice and support regarding my case. I undoubtedly could not have had a better service”. “I was given options that gave me confidence to know there was a way forward. To empower and encourage people to make the move forward is enlightening as it can be frightening when facing a large company”. “Thanks for all your time earlier, it was greatly appreciated”. “I must thank you again for all your very hard work”. “Thank you for your letter [ confirming ], thank you also for your explanation concerning fast track, it is appreciated. I see that the Court is more generous in its calculation of interest than I was in my estimated calculation, I do not have a problem with that! Thanks again for your thorough explanation of my matters, and all your invaluable help”. “Thank you very much for all your help”. “Again thanks for your appreciated services in this matter”. “A [ ] telephoned with regard to some excellent advice you gave him a couple of weeks ago regarding his mothers property boundary. [He has taken the following steps……..] and would like further advice on anything else he should be doing”. Kerry I saw [ ] at the [ ] Rugby festival on Sunday. He was pleased with your presentation. ……………..and writes, “Dear All, I am delighted to report following a meeting yesterday with [ ] at [ ] Solicitors. I wish all members of staff to recommend this firm to Landlords in the event of repossession/arrears proceedings being required without a Rent and Legal Insurance Policy being in place. I am satisfied that Kerry Joan Law has all the experience necessary to recommend her to our clients with complete confidence. Her success rate speaks for itself”. 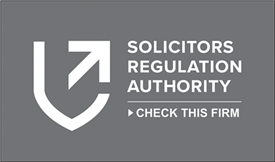 Tim has briefed me, and I write the following “I can highly recommend Kerry Joan Law of [ ] solicitors for employment related legal advice. Kerry has been helping me with a complex dismissal case that’s gone to a Tribunal and I have found her advice straightforward timely and cut down to the facts. I have copied Kerry in so you can make contact with each other to see if she can help”. “Thank you for your friendly helpful service which is effective and efficient”. “Everything was explained in plain English so I knew exactly where I stood over the issue. There were no false promises”. “You have helped us before and thereafter, if necessary we will come to you in the future”. “You gave understandable and friendly advice given in a friendly style that is important in distressing circumstances”. A full inspection of our book of recommendations and testimonials are available to be viewed in their original state at the office of KJL Solicitors along with many other kind comments not featured here. We are implicit about protecting the identity and confidentiality of our clients therefore square brackets have been used to mask names or sensitive information where appropriate. The snippets featured above are just a small sample of the many thank you letters received.